When you start your business, one of the first decisions you’ll have to make is what form the business should take -- a sole proprietorship, limited liability company, partnership, or corporation. Each business structure has advantages and disadvantages that are significant for the business owner. For example, sole proprietorships are simpler to operate than corporations, but owners of sole proprietorships have more exposure to personal liability. Anyone who conducts business without formally creating a business organization is a sole proprietor. 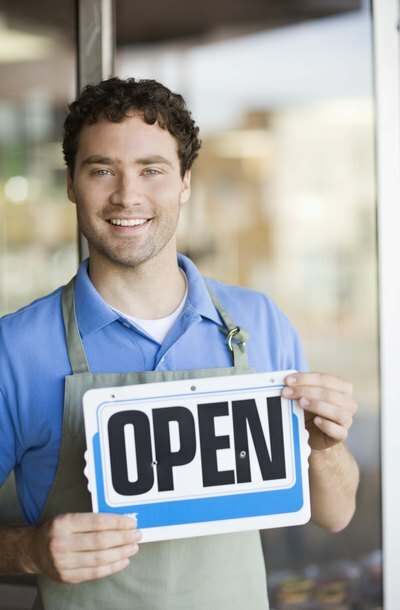 This makes it simple and inexpensive to create and organize a sole proprietorship. Unlike most other business entities, a sole proprietorship doesn't typically have to register with a state agency, but you may have to register your business’ name with a state or local government office. As an owner of a sole proprietorship with full responsibility for the business, you can start and stop your business activities at will. The lack of a formal structure is one of the primary advantages to operating a sole proprietorship. With a sole proprietorship, there is no legal distinction between the individual owner and his business, which means the owner is personally liable for the business' debts. If someone successfully sues the business, the owner’s personal assets may be taken in the lawsuit. On the positive side, the sole proprietor is entitled to all of the profits from the business’ activities and may freely mix business and personal assets, though it is a good idea to maintain separate records to avoid confusion. A sole proprietor must pay payroll taxes for his employees, such as Social Security and unemployment insurance, but he is not required to pay unemployment taxes for himself as other business entities typically do. Filing the business’ income tax return is relatively simple since it is filed on Schedule C of the sole proprietor’s personal income tax return. While a sole proprietor can personally receive loans to cover business expenses, he cannot sell a share of his business to an investor to raise capital for business expansion. This may make it difficult for the business to raise money to expand or fund start-up costs. When a sole proprietor of a business dies, the assets of the business become part of the estate and creditors of the business can make claims against the estate for payment of debts. The deceased’s heirs must often sell business assets to satisfy creditor claims and distribute the business’ value among heirs. If the heirs want to take over the business and continue operation, they must create a new business in their own names, although they may not have the capital or know-how to continue operations successfully.